Russell P. Branzell is the CEO and president of the College of Healthcare Information Executives (CHIME) and its affiliate associations: the Association for Executives in Healthcare Information Security (AEHIS), the Association for Executives in Healthcare Information Technology (AEHIT) and the Association for Executives in Healthcare Information Applications (AEHIA). Prior to joining CHIME as president and CEO in April 2013, Branzell served as CEO of the Colorado Health Medical Group. Prior to that, he was the vice president of information services and CIO at Poudre Valley Health System and the president/CEO of Innovation Enterprises (PVHS’ for-profit information services entity). Before joining PVHS, Branzell was the regional deputy CIO and executive director of information services for Sisters of Mercy Health System in St. Louis, Mo. Branzell served on active duty in the United States Air Force and retired from the Air Force Reserves in 2008. 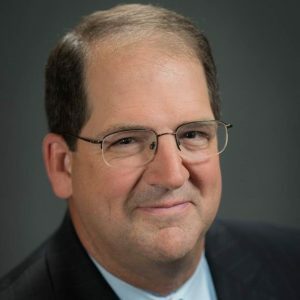 While on active duty, he served in numerous healthcare administration positions, including CIO for the Air Mobility Command Surgeon General’s Office. In 1996, he was selected for the Air Force Medical Service Fellowship program and completed a CIO internship at the Unity Health System in St. Louis. A native of San Antonio, Branzell earned an undergraduate degree in business administration, specializing in human resource management and labor relations, from the University of Texas. In addition, he earned a master’s degree in aerospace science from Embry-Riddle University with an emphasis in management. The CHIME Speakers Bureau faculty is comprised of industry leading healthcare IT experts; experienced in providing keynote speeches, educational presentations, and internal guidance to organizations on the latest in technology, leadership, and emerging trends in today’s complex healthcare information technology environment.